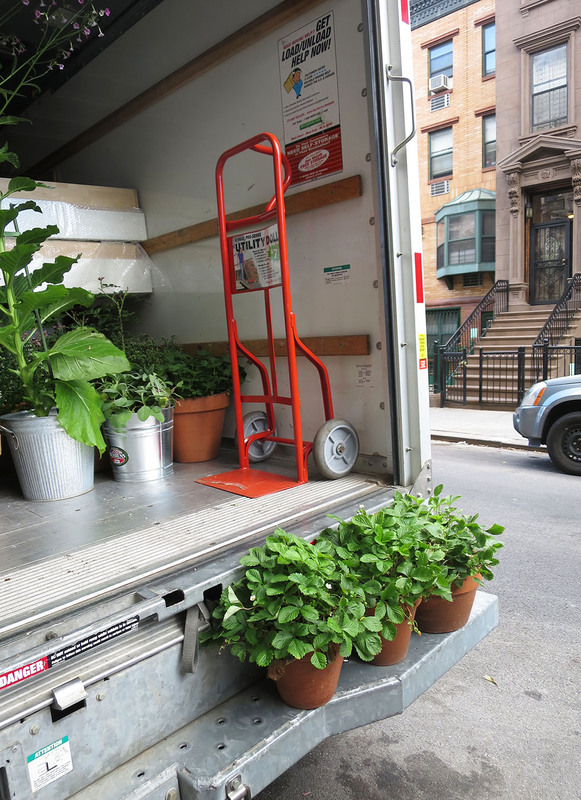 Today the small plants and furniture and boxes move to Brooklyn. Next week the movers will shift the big stuff. The Alpine strawberries are ready. OMG. You have all my sympathy. Moving is awful at the best of times, and being ousted unexpectedly just adds insult to injury. But go knowing that your new place will be much more conducive to your gardening efforts and that it will be a fun adventure finding new things that grow well there. Good luck. How exciting ... new home, new garden, new possibilities and adventures. Take it from someone who's moved three times this year alone, your new abode will very soon feel like home! Here's to a quick settling of the dust and a feet-up, cold cocktails in hand evening for you and Vince! Good luck Marie and Vince! Hopefully this is the last move for many peaceful years. I'm very excited for you on this move! Already! Thought it was a couple more weeks. A great opportunity tho ... patio and land. Hope you will love it. Also hope you will find time to do a 'Harlem patio' calendar for 2016. Know the next couple of months will be full and challenging, but perhaps a little project will help you stay focussed. Best luck!! I can't wait to see the new place -- and all the beautiful things you'll accomplish there. We would like to express our deepest sympathy to the relatives of the bumble bee which appeared to travel down to Brooklyn with us in the back. Sorry. She/he will be happy here. May your new home and garden heal you, encourage you and bring you new opportunities.